Shiba Inu dogs always know how to make us smile. 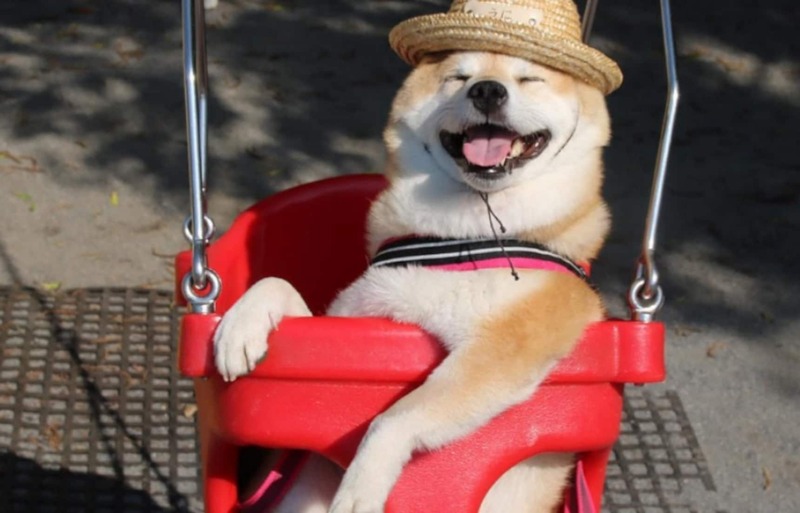 And this gorgeous Shiba Inu with an infectious grin is picking up adoring followers online thanks to her cute playground antics. Her name is Uni, and she loves nothing better than to swing on the swings, climb on the equipment and ride the merry-go-round at her local park in Japan. This girl loves being outside with the wind in her fur, surrounded by the beautiful fragrance of flowers. and metal bars at the park.